The Zwartkops Raceway near Pretoria will offer patrons a circuit racing feast this Friday and Saturday, when the venue will host round six of the 2017 Extreme Festival. Topping Friday’s attractions will be two races for Sasol Global Touring Cars, with 16 competitors scheduled to face the starter. Based on previous results this year, the two victory favourites must be reigning champion Michael Stephen (Engen Xtreme Audi) and Gennaro Bonafede (Sasol BMW). 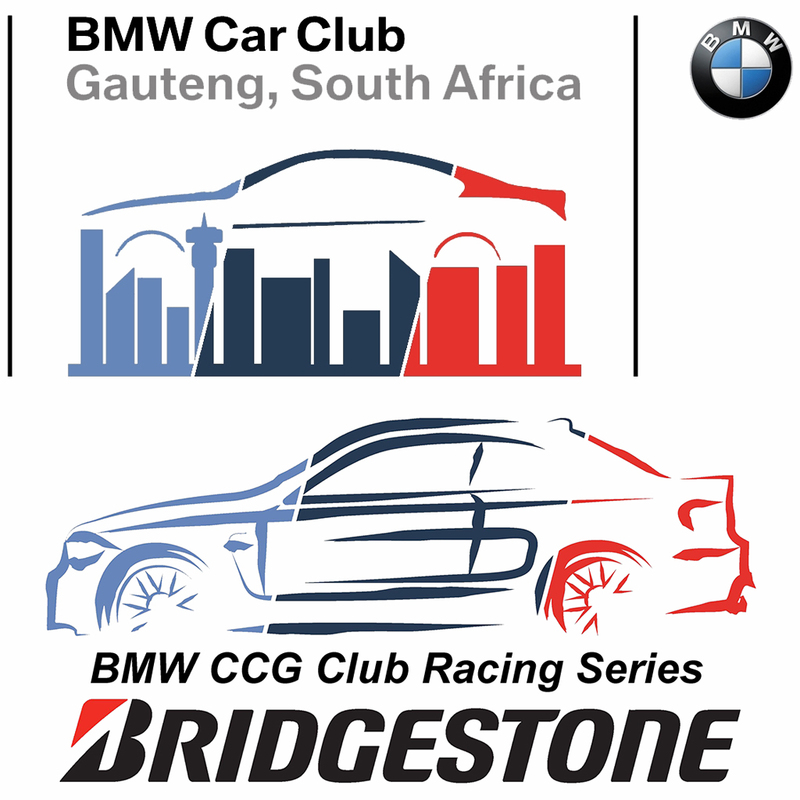 They will be challenged by people like Simon Moss (Engen Xtreme Audi), Johan Fourie (EPS Couriers BMW), Robert Wolk (Sasol BMW), Mathew Hodges (Volkswagen Jetta), Daniel Rowe (Volkswagen Jetta) and Michael van Rooyen (EPS Courier BMW). 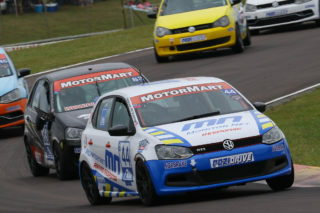 The GTC2 category should see a battle between Keagan Masters (Volkswagen Golf GTI), Bradley Liebenberg (Ferodo MINI JCW), Mandla Mdakane (Volkswagen Golf GTI), Christopher Shorter (Champion MINI JCW), Trevor Bland (TB VW Golf GTI), Charl Smalberger (Indy Oil VW Golf GTI), Iain Stevenson (Comsol VW Golf GTI) and Dayne Angel (Autohaus Honda Civic). 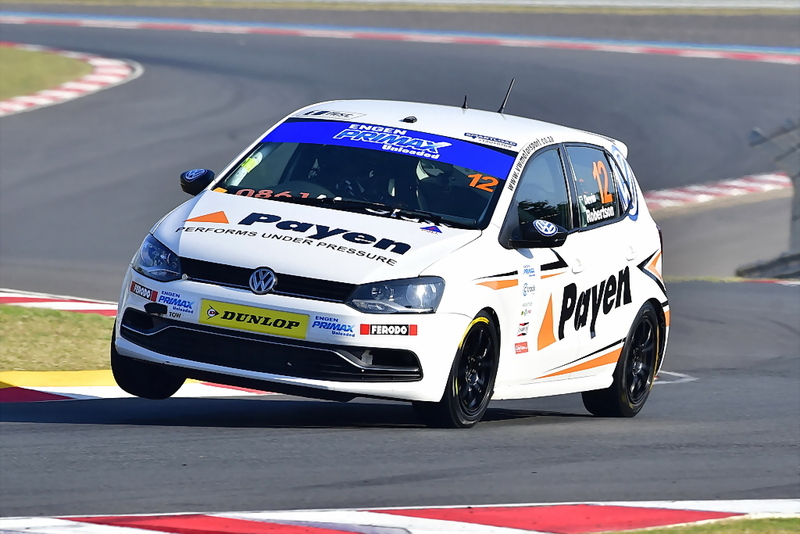 Top contenders in the Engen Volkswagen Cup races will include Jeffrey Kruger (Universal Health Polo), Devin Robertson (Payen Polo), Shaun la Reservee (Alpine VW Polo), Matt Shorter (Moog Polo), Tasmin Pepper (Campos Polo), Juan Gerber (Glassfit Polo) and Gary van Heerden (Nutritech Polo). Julian van der Watt (Investchem Mygale) should be the man to beat in the Investchem Formula 1600 races, challenged by people like Brad Benningfield (General Energy F1600), Alex Gillespie (ERP Trucking Mygale), Cameron O’Connor (Mygale), Paige Lindenberg (First Race Mygale) and Donny Lamola (Investchem Mygale). The day’s quickest lap times should be produced by the Bridgestone Thunderbike brigade, with top contenders riders like Gavin Upton (Turn Skill Yamaha R1), Shaun Vermaak (Fourways Kawsaki ZX10), Chris du Plessis (Yamaha R1), Marius van der Merwe (Jassies Auto Kawasaki), Hendrik Erasmus (E Engineering BMW), Andre van Vollenstee (Stunt SA Kawasaki) and Byron Rothquel (Mag Magic BMW). Bringing a nostalgic note to proceedings will be two races for SKF Legends of the Nine-Hour cars. Fighting for podium places should be drivers like Mark du Toit (TAR Lola T70 Spyder), Michiel Simons (Ford GT40), Jonathan du Toit (Chevron B8), Peter Bailey (Porsche 917), Ben Morgenrood (Ford Mustang), Neil Lobb (Lola T70), Keegan Campos (Porsche 911), Hennie Groenewald (SP Datsun 240Z) and Chad ten Doeschate (TAR Cobra Daytona). In similar vein, the Under Two Litre and SKF Little Giant races should produce fights between the likes of Marc Miller (EM Financial Alfa Giulia), Ishmael Baloyi (GSM Dart), Josh Dovey (Austin Healy Sprite), Vic Campher (Tom Campher Volvo P1800), Alan Poulter (Tom Campher Volvo 122S), Carel Pienaar (Lotus Cortina) and Keith van Heerden (Jaguar D-Type). The Bridgestone Challenge events will see riders like Johan Nortje (Fourways Kawasaki), Deon de Beer (No Rules Kawasaki), Werner Strohm (Parrot Interactive Kawasaki), Carlos Tavares (Frost Biketech Kawasaki) and Deon de Beer (No Rule BMW) at the front end. 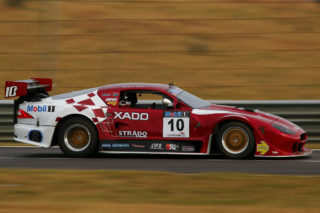 Saturday’s main crowd drawcard will be two races for G&H Transport Extreme Supercars. 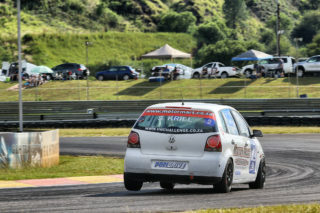 Topping the entry list should be the ultra-fast turbocharged Lotus Exige Honda of Capetonian Dawie Joubert. 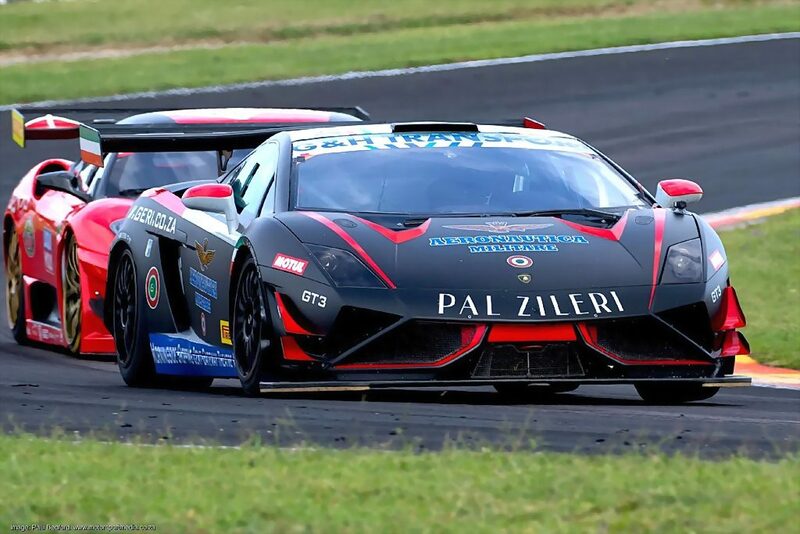 His closest adversaries will include drivers like Simon Murray (Stradale Lamborghini Gallardo), Jonathan du Toit (TAR Ferrari 430 Challenge), Jason Campos (Sandton BMW M3 GT), Franco Scribante (Porsche 997 Turbo), Jonathan Shenkman (Stradale Lamborghini Gallardo), Charl Arangies (Stradale Ferrari 430), Nicky Dicks (Stradale Porsche 997 GT3), Dawie Olivier (G&H Transport BMW M3), Gianni Giannoccaro (G&H Transport BMW BMW 1MGT), Deon du Plessis (BPR KTM X-Bow) and Craig Jarvis (Stradale Ferrari 430). The day’s largest grid will be provided by the VW Challenge brigade, with top contenders Rory Atkinson (Pozi Drive Polo), Wayne Masters (Performance Masters Polo), Stiaan Kriel (Spanjaard Polo), Wayne Crous (Delway Polo), Waldie Meintjies (Lee Thompson Polo), Gavin Ross (Norbrake Polo) and Devon Piazza-Musso (Reef Supplies Polo). 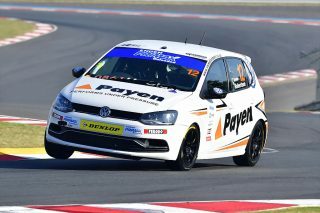 Also boasting a large number of competitors will be the races for 111 Sports and Saloon Cars. Front runners should include George Bezuidenhout (Accolade Nissan Primera), Gerhard Henning (Toyota Replacement VW Polo), Clive Densham (Toyota RunX), Marius Jackson (Mega Fibre Audi TT), Louis Cloete (www.apc-online.co.za VW Golf), Harry Arangies (Stradale Porsche 944 Turbo) and Lucas Bezuidenhout (Pretoria North Toyota Lexus). Jaco Schriks (Rhema 2) should be the victory favourite in the Hankook Formula Vee races, challenged by drivers like Gert van den Berg (BP Nantes Rhema), Symm Grobler (Auto Mecca Rhema), Peter Hills (Lube Fusion Rhema), Greg Wilson (Reflex Solutions Forza), Lushen Ramchander (Miami Products Forza) and Brandon Hills (Lube Fushion Rhema). The autObarn SuperHatch events should provide dices between Brett Garland (autObarn Honda Civic), Jonathan du Toit (TAR Honda Civic), Chris Davison (Opel Superboss), Alex Marques (Ace Auto VW Polo), Tyler Scott (Jestik Opel 200TS), Reno van Heerden (Angry Birds Peugeot 206). The National Sports Car Challenge will see drivers like Mark Lauth (Fantastic Shelby CanAm, Ian Smith (Revolution Shelby CanAm), James Forbes (ADR MCE3), Doug MacDonald (Fantastic Shelby CanAm) and Michael Jensen (Fantastic Shelby CanAm) in action. Admission will cost R110 per adult or R90 per student per day, while weekend passes will cost R170 per adult and R150 per student. Food and drink will be on sale or you may take your own, there will be kiddies’ corner and flea market in the pits, while the venue’s Mini Moke trains will ferry spectators between the pits and the grandstands all day. For more information contact www.zwartkops.co.za. Motorsport photographer and Web developer.